How the $65,000 contract for “Voice” contestant Davon Fleming was awarded. Hint: Without competitive bidding or prequalification. Mayor Catherine Pugh’s high-flying new hire, soul singer Davon Fleming, has been grounded at least temporarily. The Baltimore native, who rose to fame as a contestant on “The Voice” TV show, lost his driver’s license on January 2, a week before his $65,000 consultant’s contract was steered through the Board of Estimates. The suspended license came during a week when his contract was speeding through City Hall, bypassing standard procurement procedures. 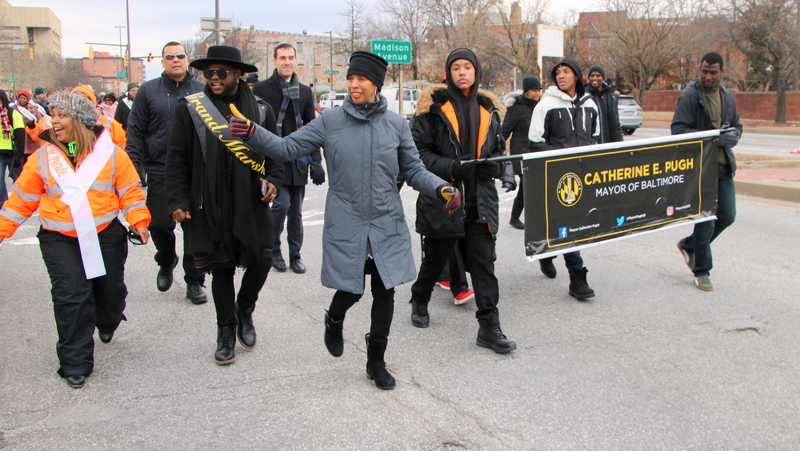 • December 20, 2017 – Fleming receives a hero’s welcome from Mayor Pugh at BWI Thurgood Marshall Airport after he was eliminated when the contestants went from eight to the final four. The contract calls for frequent travel around the city. Fleming, who now lives in West Baltimore, would work up to 1,444 hours, or about 36 weeks, for Rec and Parks through January 3, 2019. • December 28, 2017 – The request for his appointment is approved by the Bureau of Budget and Management (as a supplemental expenditure in the 2018 budget) and placed on the BOE agenda, bypassing the Bureau of Purchases (which normally handles agency requests for goods and services over $1,000). By describing Fleming’s contract as a “consultant agreement” rather than as a “services agreement,” the request avoided procurement rules requiring contracts of $50,000 and above to be publicly advertised and competitively bid. And classified as an individual instead of a corporation or LLC, the singer did not need to be certified as being “in good standing” by the state Department of Assessments and Taxation. • December 29, 2017 – Fleming fails to appear in Anne Arundel District Court on two traffic citations issued to him at BWI Airport on October 30 – driving on a learner’s permit without proper supervision and using a handheld cellphone while operating a 2009 Toyota with Georgia license plates. • January 1, 2018 – Fleming announces on his Twitter page that he is soliciting for singing gigs nationwide under the hashtags of #OpenForBooking and #BringMeToYourCity. He reports that “2018 is filling up fast,” with his first performances taking place in Chicago and Los Angeles. • January 2, 2018 – Fleming’s license to drive in Maryland is suspended. State records show he owes $373 in outstanding fines. • January 10, 2018 – The Brew reports that the Fleming contract is on the agenda of the Board of Estimates. 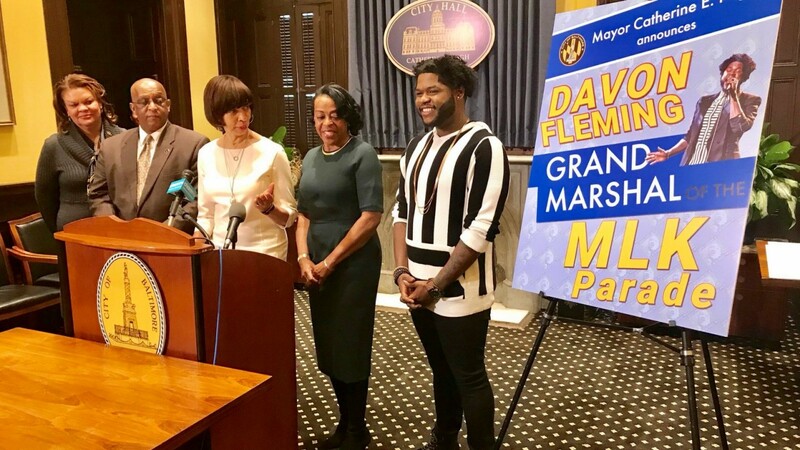 Following unanimous approval of the contract, the board’s three elected members – Mayor Pugh, Council President Bernard C. “Jack” Young and Comptoller Joan Pratt – hold a press conference to announce that Fleming will act as Grand Marshal of the Martin Luther King Jr. Parade. Fleming’s $65,000 contract with the city was not disclosed at the press conference. The Brew sent detailed questions to the mayor’s office about the process used in hiring Fleming and his suspended license. Requested also was information about who will supervise the singer, how his out-of-town singing will be coordinated with his work for the city, and what deliverables – number of community choirs, types of dance troupes – are set for the period of his contract. The mayor’s office has not responded. No one at Pugh’s office or at the Department of Recreation and Parks was able to provide contact information for Fleming, who could not be reached for this story.